Futurology: LMS Distraction in Educational Technology? The perpetual brawl in the United States Learning Management System (LMS) market makes headlines everywhere. Meanwhile, the growth of the global Ed-Tech industry dwarfs the stakes. If we generously round up the total market value of both Instructure Canvas and Blackboard Learn to $2 billion USD each, they still account for very little as the industry reached $107 billion in revenue in 2015 globally. Instructure’s revenues for all of 2017 was short of $159 million, and analysts at Research and Markets forecasts Ed-Tech revenues tripling to $325 billion by 2025. It is unclear how large the LMS piece of the pie is exactly, but even in the most generous scenario, it only makes up a tenth. An estimate for the Corporate LMS segment, deemed as the most valuable in the long term by both Instructure and Blackboard, is estimated to reach $7 billion by 2023. Virtual and Augmented Realities, AI and Machine Learning, Gamification, and Microlearning. Mobile, Data, Analytics, and Personalization. Lower cost of devices, the Cloud, Internet of Things, 5G net.works (depending on the country), and Cybersecurity. Note that there is no claim that the LMS is obsolete. Ingrained in the institutional learning lingo, it’s just as likely that they have become a commodity. As long as they offer the ‘bare minimum‘ set of features (still expected to grow larger over time), either is fine for the end user and no one stands out as exceptionally different. Going forward, looking at the evolution of organizational systems, like Enterprise Resource Planning (ERP), Content Management Systems (CMS), or niche-specific, the most obvious roadmap of survival is a ‘platform‘ or ‘marketplace‘ model; a bet no LMS is pursuing either. In this scenario, LMS companies have two clear routes of action: Moving past the LMS. Both Blackboard (with Ally and SafeAssign) and Instructure (with Bridge) have reiterated the importance of their non-LMS applications. The one LMS company not involved in non-LMS endeavors? Moodle. From LMS to ‘Learning Operating System (OS)‘. LMS could leverage their arguably underdeveloped marketplaces and push them forward, consolidating a name as a platform worth going into by giants and startups alike. In the case of Moodle, this would mean a much bigger role for the Plugin Directory, as a value proposition for users as much as a priority in terms of the development and usability roadmap. A recent controversy of a popular game trying to bypass a mobile operating system’s app store only highlights the power and value of the marketplace model, securing a revenue stream that benefits from potentially every type of innovation. Is the LMS a powerful and charming idea, but more out of nostalgia than usefulness? What if a focus on business as usual and gradual refinements prevent Moodle HQ and the Moodleverse to gaze at the bigger picture before it’s too late? To be sure, it takes a deeper look into the Moodle development roadmap to understanding where its present and future value truly lies. If LMS data, interoperability and predictive analytics are, for example, the future of Ed-Tech, then Moodle finds itself in an enviable position to capitalize their recent and ongoing efforts. In any case, even as a non-profit, open source technology company, it would be wise for Moodle to ask every so often if the LMS is the right shape to accomplish its mission. 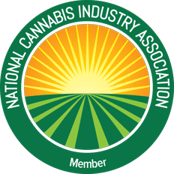 This entry was posted in Cannabis Industry, Training Tips and tagged cannabis training, ed-tech, learning management system, lms, marijuana training, training technology.